We’re going to accelerate your organizational culture change education with this post. Every leader will benefit from understanding the following critical insights about culture and problem solving, change, engagement, strategy, hiring, and consulting shared by Edgar Schein, Professor Emeritus with MIT Sloan School of Management and the most influential authority in the culture field. I first interviewed Ed when this site was launched in 2014 and we held a very thorough follow-up interview last year. Ed is continuing to make an impact in the culture field and beyond. He recently formed the Schein Organizational Culture and Leadership Institute. The Institute is dedicated to advancing organizational development through a deeper understanding of organizational and occupational cultures—how they arise, develop, and evolve. 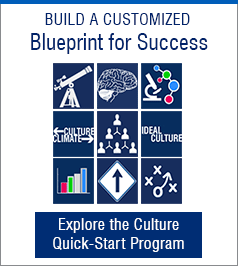 We started this interview with a brief review of culture fundamentals and then probed the connection of culture and important culture-related workplace topics like engagement, hiring for cultural fit and strategy. Culture clearly impacts these areas but the connection is not widely understood and it’s often oversimplified. Culture is always helping and hindering problem solving. It’s important to understand both. Be very specific about behavior, how it’s impacting your problem and the future state of the behavior you want to see. Culture change may evolve from a small but effective change in behavior. Think about culture systematically. Ed explained a story about a conversation with a Scottish head of a hospital where he made a tactical error and apologized to him afterwards. “One of the things they were thinking of doing in their hospital was to train the receptionists to start being nicer to patients when they first came in… I scoffed at this and said that doesn’t even begin to get at the depths of culture. I thought about it systemically and realized what a terrible mistake I was making. In fact, if he retrained those receptionists and the patients started to feel better about it, the better patient mood would influence others in the hospital and it might be exactly the right way to speed up the culture change process. Start with something simple that’s not that hard to do. Ed explained a story about Digital Equipment Corporation and how their culture was all about innovation. They enjoyed making things more fun and complex. Ed continued: “Everyone said that’s unsustainable, the world now wants simpler, easier devices. You have to make a huge change and Digital looked squarely at them and said: we don’t want to do that. We like the culture we’ve got, the culture of innovation, and if that doesn’t work anymore..so be it..but we’re not going to change. In that instance suggesting all kinds of small changes wouldn’t have made any difference. Ed continued the discussion on engagement, “On the other hand if you go through a big torturous process of giving them more recreation, nicer place, more privileges, all sorts of stuff and the boss still treats them as a non-entity, then you are not going to get anywhere. The employees will use the facilities and take all the freebies but they still won’t feel engaged. The engagement is by definition a human problem and the reason it is not happening is because bosses are not treating their subordinates in a human way. An organization’s strategy is determined by culture. The key to strategy and strategic change is linking the possibility with who we really are culturally. The good employee of the future is a learning person. We closed the interview with a discussion about some of Ed’s new work. I asked Ed what I missed in the interview and what he thought readers at CultureUniversity.com also need to understand about culture. We have not learned enough about occupational cultures. Tough future problems will involve building teams across occupational and national cultures. What do you think of these insights? Share your reaction and comments below? Please share this post with others. See the full video of this thorough interview on YouTube (52 minutes).